On Wednesday John and I celebrated five years of marriage together, although I celebrated mostly with my toilet in between puking episodes, thank you stomach bug. There's nothing like a gingerale toast and saltine meal to celebrate a marriage milestone! Actually we celebrated together a few days early before the holidays were over so my bought of illness didn't ruin our anniversary altogether, thank goodness for that! Like any couple we spent our celebratory evening talking about the last five years, reminiscing about memories and celebrating our accomplishments. Mostly we thought about our wedding day, which was somewhat unique. Our engagement started off normally. John proposed to me in the fall of 2006 and we planned to get married in June of 2008. After 10 months of engagement, however, my mom fell seriously ill. I was home in Ontario for the summer when she arrived home one August afternoon, after visiting my brother in Toronto, complaining of stomach pains. Over the course of about an hour the cramps moved from moderately uncomfortable to severely painful. In Ontario we have a nurses hotline so while my mom lay on her bed clutching her stomach, I got on the phone with them. Before I could even talk to a nurse, however, my dad decided they should see a doctor. They went to a walk-in clinic and were immediately told to get to an emergency room. My mom was admitted and after a serious of tests she was finally diagnosed. It seemed 16 years prior- when my mom had a cesarean section to birth my sister- the surgeon had nicked her intestines and scar tissue had been building up ever since. Now her intestines were blocked off completely. By the time she got her diagnosis, I was only one day away from my scheduled departure to Michigan for my final semester of college. I asked my dad, "Should I stay home?" "No," he said, "the doctors think she'll be fine." So John drove up to help me pack my things and get me back to college. That night while we slept in Ontario one last time, my mom had surgery to removed the scar tissue. I will never forget waking up the next morning and asking my dad how it went. "Well, the surgery went well, but there were some complications when mom was waking up." "Yes she's fine. She aspirated a bit so she has to be on oxygen for a day or two until her lungs can recover. Don't worry though- you should still go back to Michigan." John and I made the six hour journey back to college with plans to return the following weekend and see my mom. I remember feeling nervous about leaving my dad and sister alone and leaving my mom behind in the hospital. Little did I know then that I would be living with those nerves- and worse- for the next 3 months as our lives tumbled and fell into a nightmare. The "day or two" that my mom was supposed to be on supplemental oxygen turned into a week. The oxygen mask turned into a tube in her throat. The tube turned into a tracheotomy. She started off under mild sedation. Than heavy sedatives. Than she was put into a coma. ARDS. That's what she had. A four lettered acronym that was destroying her life. Acute Respiratory Distress Syndrome. Basically, her lungs were failing. I don't remember very much from September and October of that year. I don't remember what I learned in class or what I did outside of class. What I do remember is the sound of my dorm phone ringing in the middle of the night. My dad's broken voice on the other side. Once: Mom's being transferred to a bigger hospital. Twice: The doctors don't think she's going to make it through the night. Three times John and I got in the car and drove to Ontario, not knowing if my mom would be alive when we got there. She always was, but barely. Her body was so swollen I could hardly recognize her. My sister pinned pictures of my healthy mom on her ICU room bulletin board just so the nurses could see who Mom really was. She was Margaret. Happy, outgoing, smiley Margaret. Always busy, always searching for a good deal- be it on yogurt or a new chair at a yard sale- always ready for a long conversation on the phone, Margaret. Wife to Irving. Mother to Jillian, Wesley, and Jenna. Daughter, aunt, sister, cousin, loyal friend. My aunt, Mom, and Dad the summer before Mom's illness. She was Margaret. Not this swollen, unconcious body hooked up to a dozen tubes and wires. To us, she was Margaret. She was Mom. To her doctors, she was very, very sick. She was a person whose lungs "looked like leather." At one point she was "the sickest person in all of Canada." And in the middle of all this, John and I had a decision to make. 1) Get married in the US and stay put together until my green card came through. 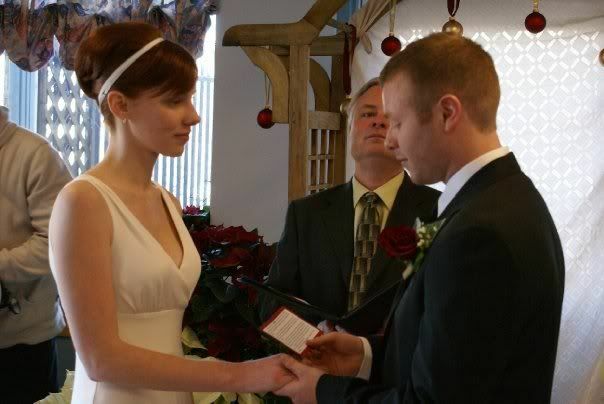 2) Get married in Canada and live in our respective countries until my green card came through. John would be able to visit me, but I would not be able to visit him. 8-10 months either way. We hoped for six. 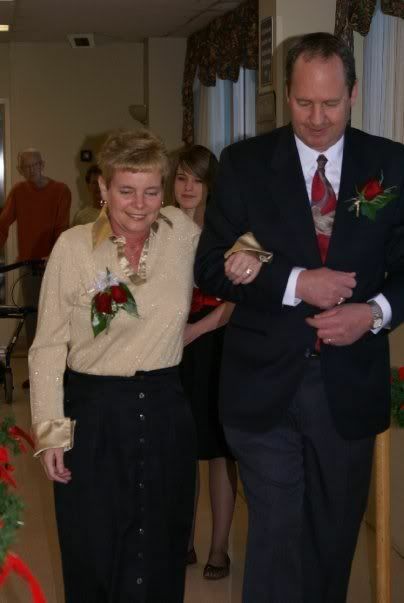 As my mom lay potentially on her deathbed in Ontario, the idea of being stuck States-side was unimaginable to both of us, so we made the only choice we really had: we would get married in Canada and start our marriage living apart. Then another issue: I was done school in December, so I would not be able to live in Michigan after that. Suddenly our planned June wedding no longer made any sense. In order to get my green card as fast as possible, we needed to get married soon. "Like, this weekend," our lawyer said. We opted for January, praying my mom would be somewhat recovered by then. Miraculously- a story which deserves an entire post in itself- my mom began to recover. Very, very slowly her blood oxygen saturation numbers improved. 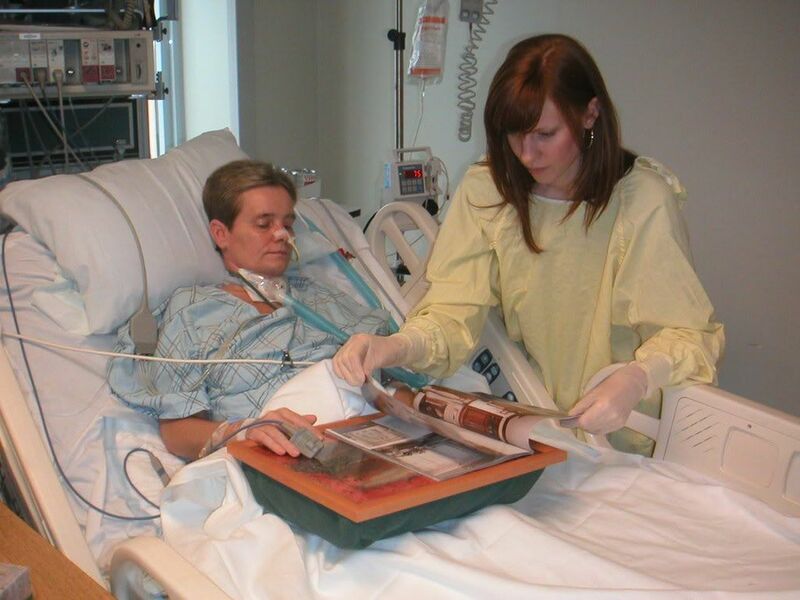 The sepsis she developed while comatose began to resolve. She was slowly weaned off sedation and brought back to the land of the living. In late October, November and December I felt as though I was seeing my mom come back to life. But rising from the dead was a very painful process. 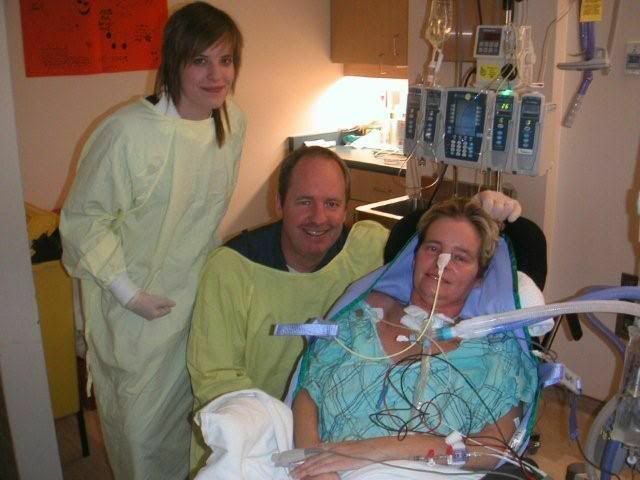 Mom's muscles had deteriorated during her time in the coma. She could barely lift her fingers, let alone stand or walk. She had to learn everything again. How to write, how to feed herself, how to get dressed. She even had to learn how to breathe. On her birthday: November 1 2007. She also had to learn what happened. At first she was so tired, she didn't really question why she in the hospital. Slowly my dad began to tell her, "You had surgery but there were some complications with your lungs." Unable to talk due to the ventilator, she would nod with a confused look in her eyes. Finally one day she was lucid enough to ask my dad again, "What happened?" After he explained she mouthed the words, "How long?" How long have I been in the hospital? I knew my dad had been dreading this question. She went into the hospital in mid-August. It was almost November. "Over two months," he replied. Her eyes got big and she simply mouthed the word, "Wow." 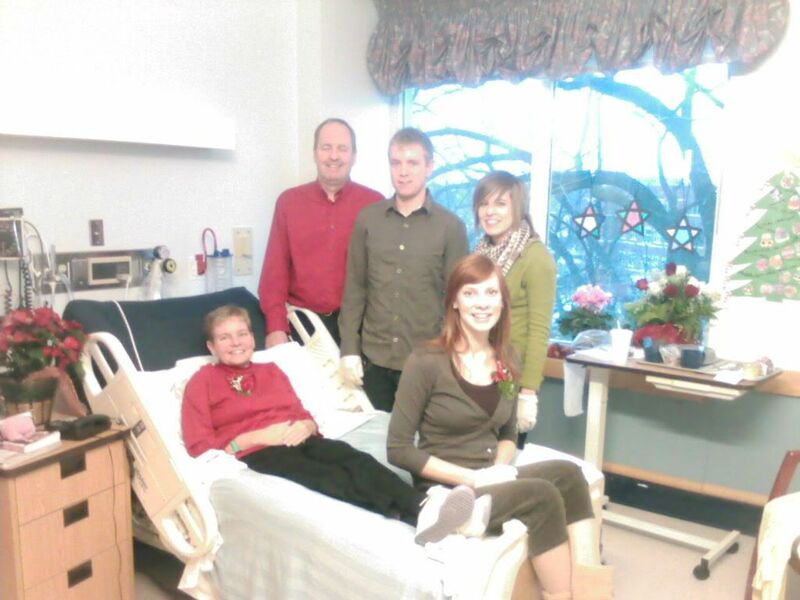 As Christmas approached my mom was finally moved back to the hospital where she was originally admitted. Still in ICU, but a lot closer to home. My dad, siblings and I were overjoyed. The worst part for us was over, but for Mom it had just begun. Everyday she was taken off the ventilator for longer and longer periods of time, to teach her lungs how to breathe again. "Wind sprints," the nurses called them. Mom hated them. She said she felt like she was drowning. As she came off the ventilator she was finally able to use her voice. After 4 months in the hospital she spoke to my dad for the very first time. She choose her words carefully, telling him simply, "I love you." That night my dad wrote to us in an email saying they were the best words he ever heard. Back in the hospital close to home, she still needed help turning the magazine pages. While she was making good progress in her recovery, we soon began to realize that she would not be home from the hospital by our January 2 wedding date. She could not even walk yet. 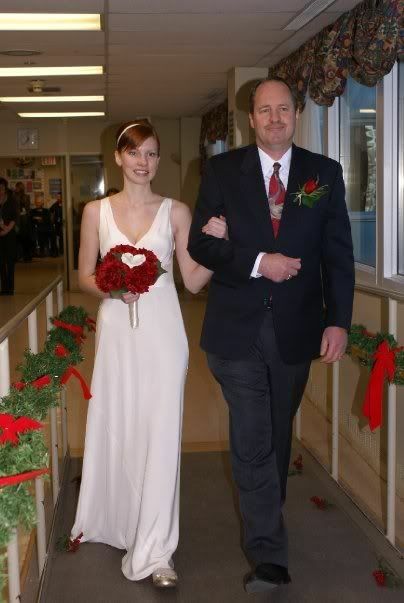 So again we made the only choice we had: we moved our wedding to the hospital! By then my mom had moved out of ICU and on to a "long term care" floor, which had a fair sized common room with big windows and lots of chairs. My talked to the floor nurses who agreed, it was the perfect spot for our wedding. 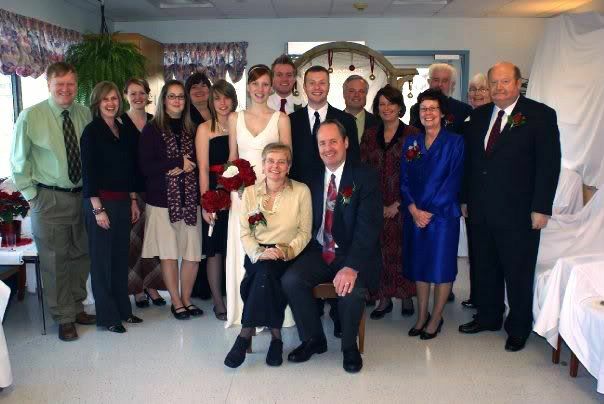 So January 2, 2008 John and I got married in a hospital with our immediate families and a handful of friends and relatives by our sides. 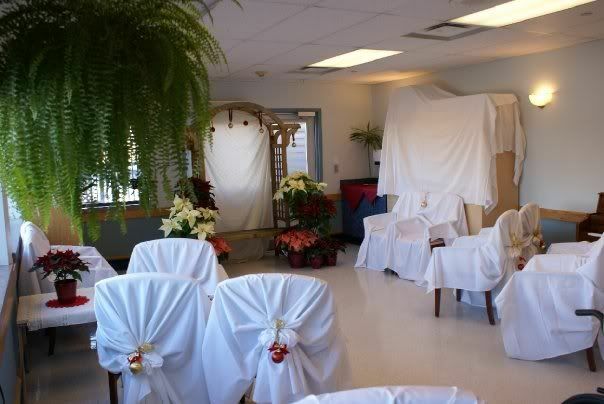 The nurses and floor patients covered the chairs with bedsheets and tied Christmas ornaments on the backs. My dad's sister and her family came the night before with a truck FULL of poinsettias from their greenhouse to decorate. My cousin loaned me a wedding music CD she had, so I would have something to walk down the aisle to. I wrapped a white ribbon around a fistful of fake flower for a bouquet. One of my dad's co-workers baked us cupcake and put them in a cupcake tree for our "wedding cake." And my mom's best friend cooked up a feast of appetizers for our wedding guests to enjoy on our laps after the ceremony. That morning I was so nervous and excited I forgot to put on the special jewelry I bought! My dad was driving me to the hospital in our van when I remembered and asked if we should turn around. "No!" I replied, "I just want to get married!" When we got to the hospital a local reporter was there to do a human-interest clip for the nightly news! (Embedded at the end of this post.) The reporter, her camera man, and all the floor nurses along with the hospital's chief of staff all gathered in the back of the room to watch my walk down the aisle. My heart raced as I waited to walk down that aisle to the man of my dreams. My mom sat beside me in her wheelchair. I heard the wedding music start and looked at my dad to tell him it was time to wheel her down the aisle to the "mother of the bride" spot. He smiled at me and then at my mom, and reached out his hand to her. And for the very first time in public in over five months, my mom surprised us all as she stood up to walk. With tears in my eyes I helped her stand while my dad wheeled her empty chair down that make-shift wedding aisle. Then he came back, took her arm, and together- proudly- they walked in. I watched her from behind and John watched her from the front as he waited for me to come toward him. When I finally did there was not a dry-eye in the room. Our pastor preached out of Isaiah with a verse from chapter 43, "See I am doing a new thing!" He told us that God was doing a new thing with our lives. That our story might not look like we expect it too, but that our God is one who makes a way in the wilderness and streams the wasteland. A God who breathes life back into lifeless bodies. Who gives reason to celebrate in a building filled with sickness and despair. Who carries a married couple through 15 long months of living apart. 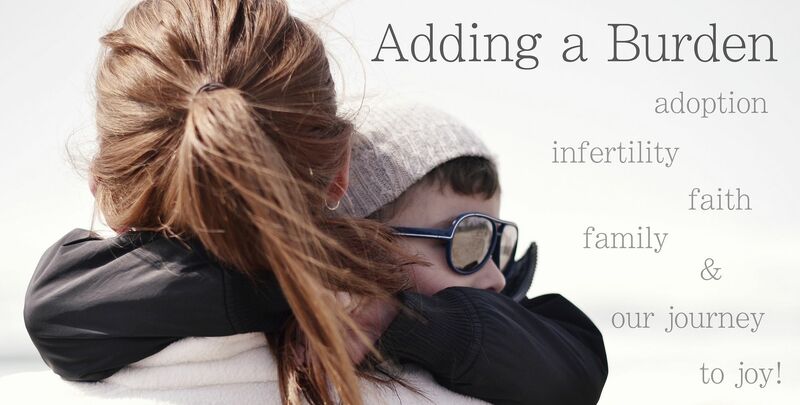 Who turns infertility into adoption. Who makes a family out of brokenness. Who restores. Who gives hope. Who grants life. As God did a new thing with our wedding, he continues to do new things in our marriage and now with our family through the life our precious child. Six months later John and I renewed our vows on our original wedding date with all our friends and family and had the big celebration we always dreamed of, but we will both tell you that our hospital wedding has come to be our favorite to remember for so many reasons. 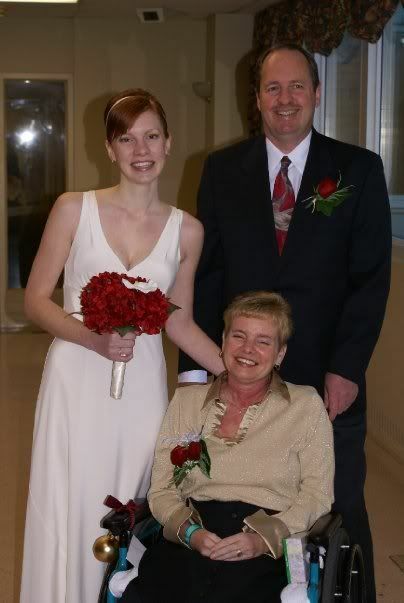 I love to tell the story of our wedding and my mom's healing. I pray this story gives hope to your soul if you are in the wilderness or struggling in a wasteland. Have faith. Our God is one who makes a way where there is none and provides streams of life in the wastelands. As he has done a new work in our lives, may he do something new for you. I love this! Such a beautiful story. I read your blog on Google Reader, which means I never click over to actually comment. But this story just moved me so much! Congratulations on 5 years of marriage! I love reading comments so thank you for that extra click! :-) And thank you also for the congratulatory words! wow. what an amazing story. thanks for sharing! and happy anniversary!!! Mush here with tears running down my face! I think you need a warning at the top to have a hankie handy! Beautiful story and as usual, a beautiful way of telling it. Happy Anniversary! That is so beautiful and so encouraging about what really matters in life!!! This story brought tears to my eyes as yours often do Jillian. My mother passed away 6 years before my husband and I got married , it is a pain I wish on none. I'm so happy your mother was able to see you get married, what an awesome God we have. I pray your mother is in good health now. Happy Anniversary to you and John. Wow! I got goosebumps reading this. What a beautiful wedding story! I love how the news reporter is choked up when telling the story. :-) Happy Anniversary! 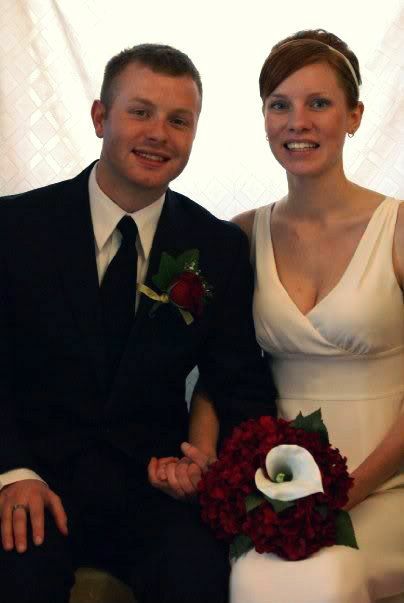 Our 5 year anniversary was just one week ago. So much to celebrate this 5th year for both of us! It seems like I cry everytime I read one of your posts! My husband and I celebrated our 5 year anniversary this last July. Our story is similar, minus the immigration. My father was terminally ill when my husband proposed, both of us in different states in college. We had to live apart for a little over a year while I cared for my dying father. Unfortunately my father passed away before our wedding, but the true story of Gods grace is that my husband got to ask my father for my hand in marriage. To know that my earthly father was proud of my husband and of our joining of lives was such a comfort and peace in the months of grieving after his passing. Some may look at my story and think "that's so sad" but to me it was a gift from our gracious God. I believe only in sickness would my father have opened up to my husband and I like he did. Congratulations on another marriage milestone, may The Lord continue to bring newness and strength in your relationship! I read this through tears, remembering the daily prayers in our classroom - especially as your mom's special Brandon and Taylor VanderMeulen prayed so regularly for her. What a journey that was for everyone - and what a privilege to read your reflections on God's hand in these past 5 years. May He continue to do a new things in your lives as you walk this journey of marriage, parenthood and family with him. Seeing that news clip video again after 5 years was so moving! :) Blessings in this new year, Burden family. Jillian... WOW, that is an amazing story! Praise God!!! I, like seemingly everyone else, found myself reaching for Kleenex as my eyes welled up with tears. I am so inspired by your mom's tenacity to pull through and then to go through all of that therapy to get herself back to any sense of normalcy. How is she doing today? My goodness, beautiful story! Such a wonderful testimony! 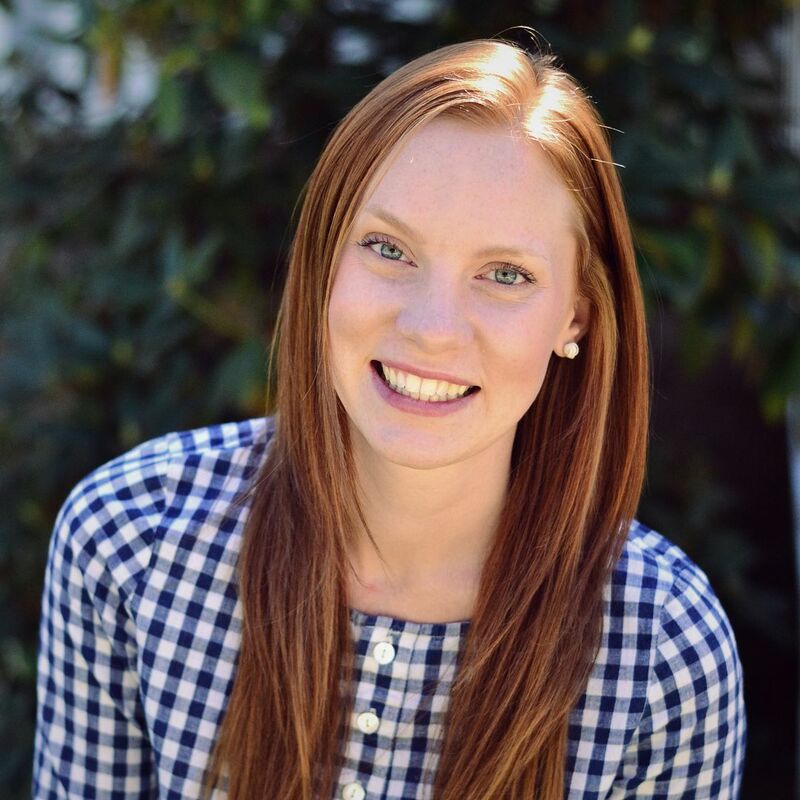 Thank you for sharing your story! I love getting to read the story God is writing for you and your family. Happy Anniversary! What an amazing wedding! I love reading the story God is writing for your family. Happy Anniversary! We were just discussing your hospital wedding at my sister in law's place. They used to live across from your parents. The Harsevorts! What a beautiful story! Thank you so much for sharing! I'm totally bawling! Was just scrolling through some posts I had missed, and realized after watching the video attached to this post that I think I had seen this on the news way back! I grew up in Stoney Creek just 5 minutes from the hospital your mum was in!